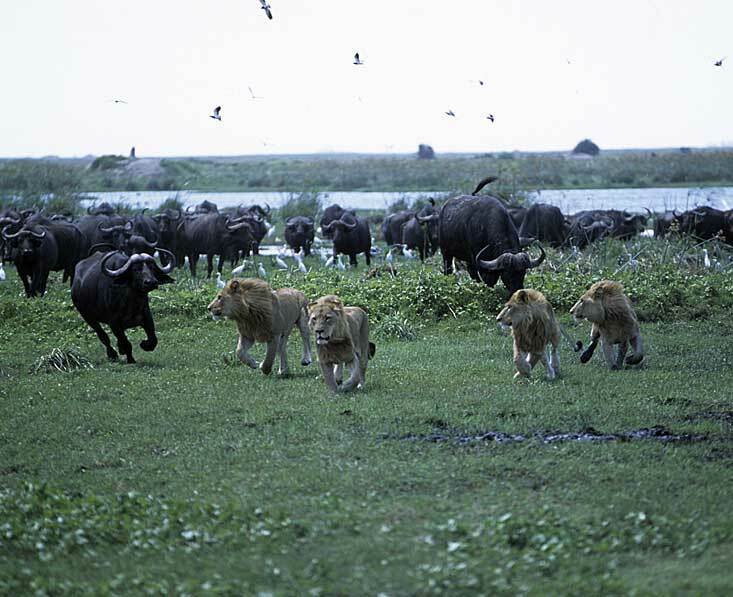 The Okavango Delta is the world’s largest inland delta, and it is within the world’s largest area of continuous sand, the Kalahari Basin. 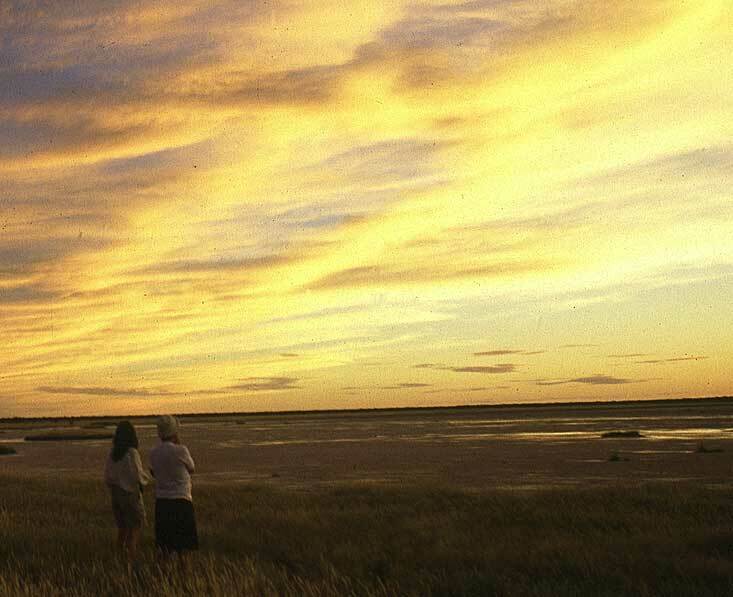 This huge desert oasis is a vastly rich yet fragile ecosystem which is home to a diverse range of African wildlife. It is the 1000th UNESCO World Heritage Site. The whole area is affected by annual floods which originate in Angola. These floods arrive in about May, filling the narrow waterways and lagoons before gradually being soaked up by the floodplains and Kalahari sands over the next few months. They are the lifeblood of the area, especially as the high floodwaters coincide with the Okavango’s dry season in terms of rainfall (roughly April to October). 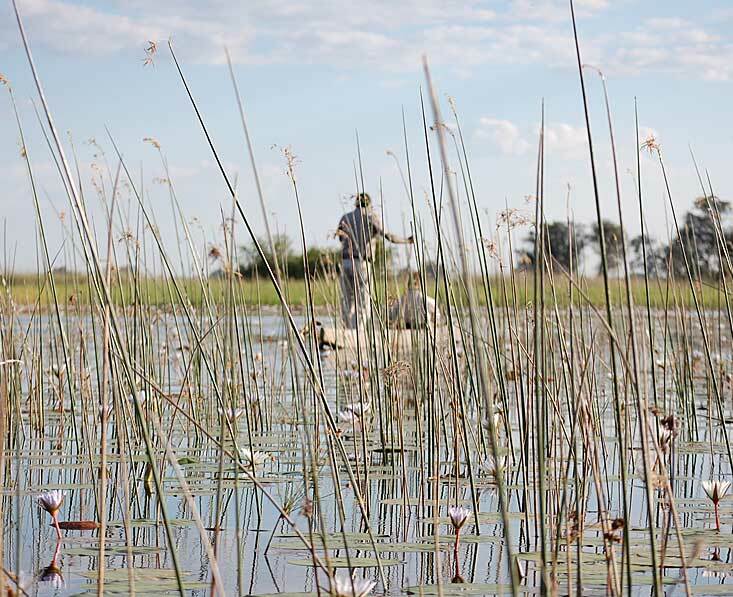 At the heart of the Okavango Delta wetlands is Moremi Game Reserve, and surrounding this are many private reserves on which a variety of high quality lodges and camps are located. Only guests staying at these properties are allowed into these private concession areas, so you are assured an exclusive wildlife experience with no hint of mass tourism, and with a strong focus on conservation. 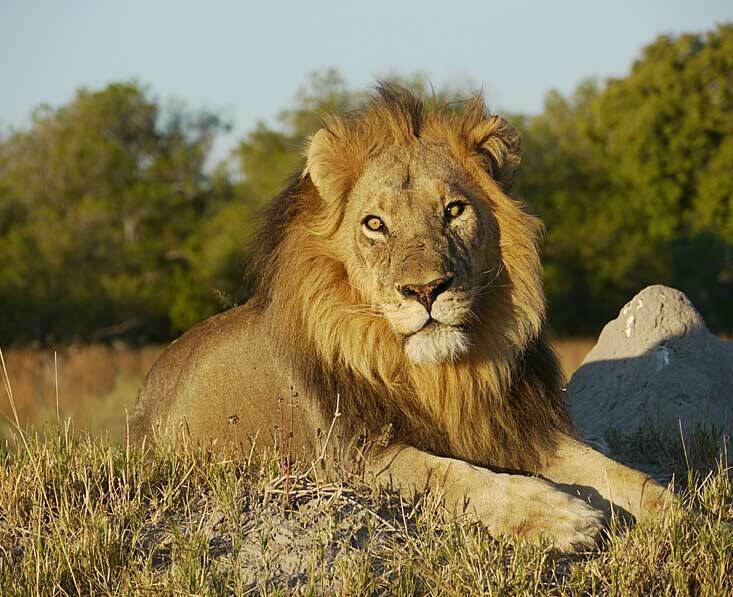 Botswana believes in sustainable tourism. 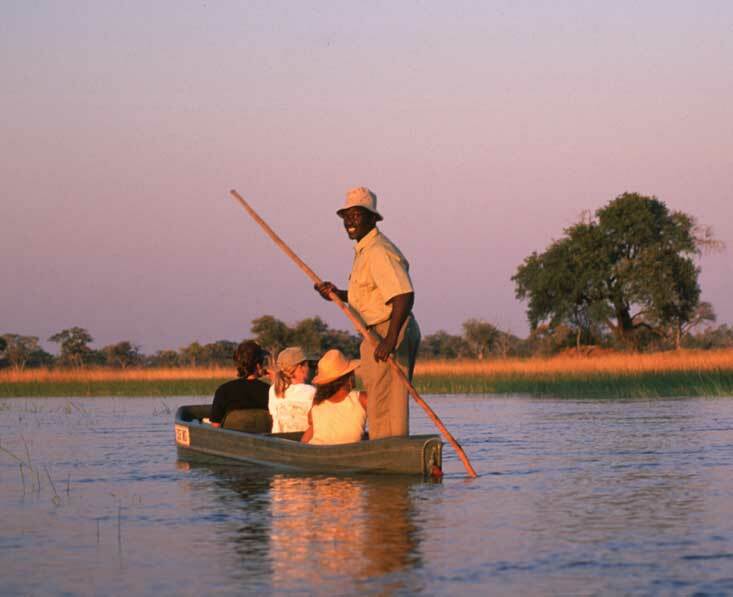 In some parts of the Okavango Delta you are offered so-called ‘dry’ wildlife activities (such as walks or game drives), and elsewhere some camps only offer ‘wet’ activities, which usually means boat safaris, mokoro safaris, fishing, birdwatching and sometimes with walks too. Some camps have both wet and dry activities, and properties on the edge of the Delta vary what they can offer depending on the season. Most people want a combination of wet and dry activities whilst in the Delta. The wildlife in the Delta is prolific and diverse. There are some large herds of elephants, and buffalo, wildebeest and zebra are particularly prevalent in the dry season though can be seen all year. 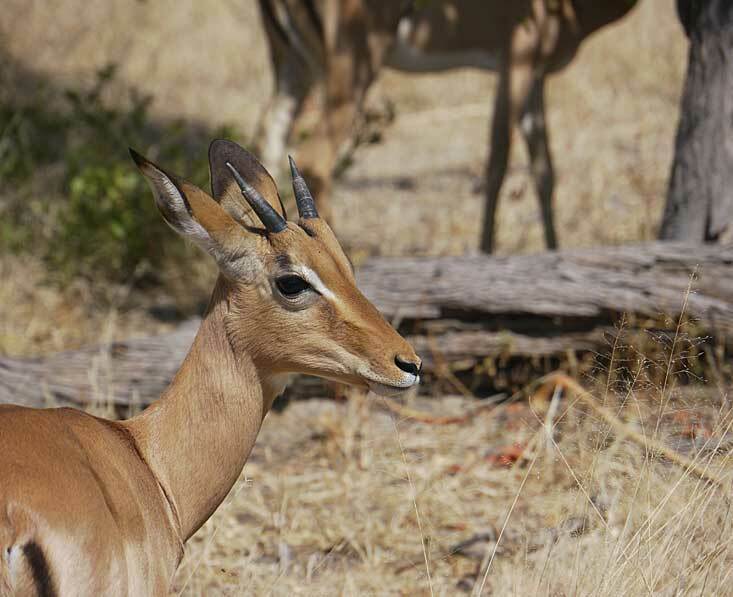 Impala and tsessebe are always around, and the rare sitatunga and lechwe antelopes love this watery wilderness. Sable and kudu are other elegant antelopes which can be seen here. As for predators, lions, wild dogs and cheetahs can be seen hunting in the savannah grasslands and leopards might be elusive but they are here too. 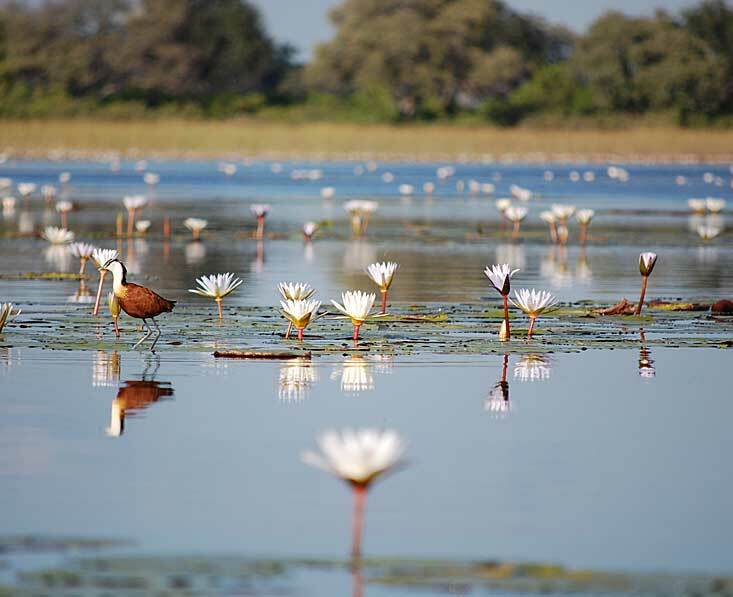 As you might imagine for such as oasis, the Okavango Delta is a haven for birdlife. Migrants birds return to Botswana from about September to November, and general birding is particularly good in the rainy summer months of November to March, when the landscape is lush, the weather dramatic and the birthing season for plains game brings a lot of action. I think my favourite part was the Okavango Delta with all the amazing birds. George probably enjoyed the close up view of the leopard right by the car and also the lioness with her 4 week old cub.